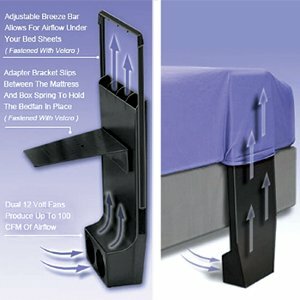 ECO-heaters are high efficiency wall mounted whole room heaters. The 24" by 24" panel is mounted � away from the wall. As the panel heats up it draws cold air from the floor into the gap between the panel and the wall. The air is heated and rises into the room creating natural circulation of the warmed air without fans, blowers or potentially harmful air emissions found in oil and gas space heaters and forced hot air systems. They use only 400 watts of electricity, which is equivalent to the power consumed by four 100 watt light bulbs. This is less than 1/3 of the energy used by conventional 1,500 watt space heaters. 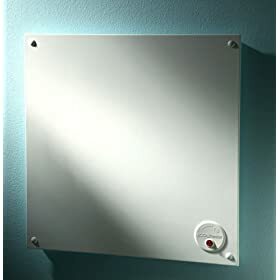 Incredibly easy to install, ECO-heaters are UL listed and can heat a 120 square foot room, (depending on layout and construction materials). Almost every house has a cold spot, which can be eliminated by installing an ECO-heater. For maximum cost savings, you can run your central heating system at a minimum setting and use ECO-heaters in the rooms where you need them to achieve up to 50% savings in heating cost. In some climates you can even use eco-heaters as the sole source for heating your home as an alternative to a central heating system.